To encourage more students to apply, colleges send mail to prospective students to interest them in their programs and campuses. The college price tag can be daunting to parents and students alike, continuously growing in size every year. With a college degree being practically essential for building a career in today’s workforce, why isn’t it more accessible? Being one of the most developed countries in the world, why doesn’t the United States value higher education enough to make it free to all citizens? 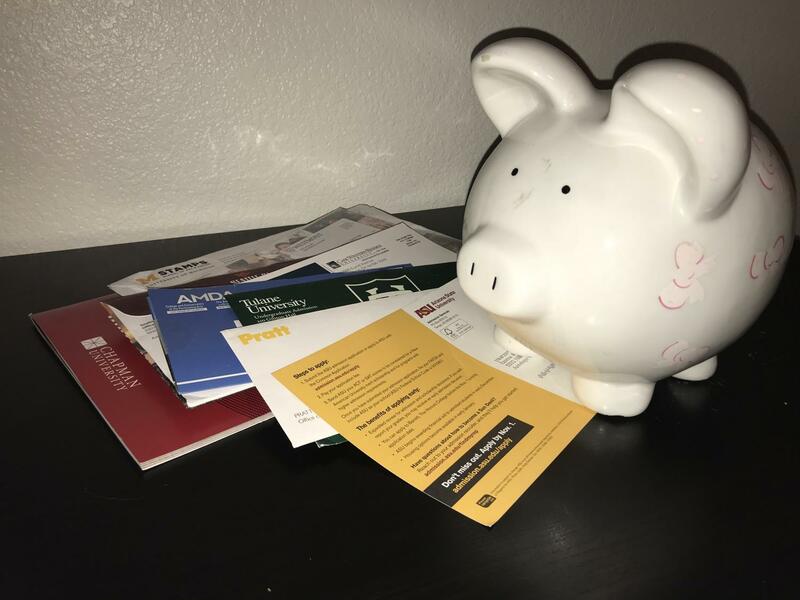 As a current senior, the reality of how much every aspect of the college process costs, from applications, to tests and even books, is an overbearing weight that looms constantly. Many European countries, like Germany, have prioritized education by abolishing universities’ tuitions and fees. This gives young people, and adults alike, the freedom to further their education and to choose any college that they are accepted to without the fear of financial repercussions or limitations. These countries have decided that the growth of their future generations is worth the public burden of slightly higher taxes to contribute to these social services. The U.S. should follow suit and realize that students shouldn’t have to limit the length or quality of their education due to social status. Some states, such as California, have taken the step to reduce financial burden by eliminating or reducing the costs of community colleges for in-state residents. Although this is a change in the right direction and many students are choosing to take advantage of this opportunity, with over 2.1 million students enrolled over the 113 California community colleges, there are specific levels of education and expertise that are not available at all public community colleges. A student shouldn’t feel forced to attended a school based on financial need, when they have the ability and dream to go straight to an Ivy League or UC level school. Some students feel obligated to choose their second, third or even last pick school simply because they don’t want to burden their families with the high costs of the schools higher up on their lists. Even then, some students are in positions that require them to pay for their college all, or practically all, on their own, we shouldn’t be limiting someone’s potential simply based on how much money they have to spend. Current federal measures in place, namely FASFA, grant financial assistance to students on a need base system, however, there are many flaws to the criteria needed. Eligibility for assistance from these programs are largely based off of annual household income, yet there are families whose incomes are too large to receive anything. What this process fails to acknowledge is that households have other expenses that factor into how much they can actually afford to contribute to college tuition. According to the U.S. Census Bureau, as of 2017, the median household income was $59,039, whereas the average cost of tuition and fees are $34,740 for private colleges, $9,970 for in-state at public colleges, and $25,620 for out-of-state, as reported by the College Board in 2017. Paying that much per year for four, or even more, years is nowhere near reasonable for the average household. Having to refinance our house is one of the sacrifices that my parents have willingly made for me to help pay for my education, the cost of which the federal government has determined we should be able to pay $31,000 per year for. This lack of support from the government forces students to take out outrageously large student loans that they will have to carry with them long after they’ve graduated. In America, there are about 44 million people who are still paying off their student loans, which in total come to over $1.48 trillion owed. The U.S. News reports research has shown that it takes an average of 21 years for someone with a bachelor’s degree to pay off their student loans. The fact that the cost burden of college doesn’t only affect you while attending the school, but follows you for years afterwards should be a red flag that something isn’t right. College is supposed to prepare you for the world, but in reality, from the expense side of things, it sets you back by putting you in debt straight out of school.